Jahangirnagar University 1st Year Waiting List Admission. First Year Hon’s Admission for the Academic Year 2014-2015 of Jahangirnagar Varsity, Savar, Dhaka will start from the waiting list From April 29, 2015 and will continue up to April 30, 2015. The source Deputy Registrar Mohammad Ali (Education) of JU has confirmed this admission Notice from the waiting list. The total number of vacant seats are 264. This is really a great news for the students who are still in waiting to get themselves admitted in this famous University which is great in natural look. The natural beauty of this University is know no bounds. The notice of total number of vacant seats according to definite department wise will be published on Universities’ official website on April 26, 2015. This notice will be also visible in every department’s notice board. So you can find out the number of vacant seats according to department wise both in department’s notice board and as well as on its’ official website. 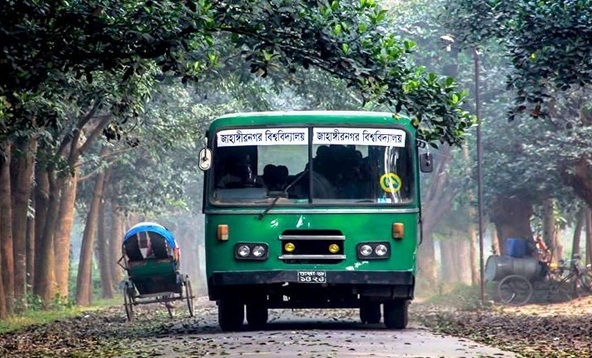 If you want to get yourselves admitted in this Jahangirnagar University then at first you must have to apply manually within April 17 to April 28, 2015. Without submitting application it is impossible to get the chance of admission from the waiting list for the 2014-2015 academic year. According to merit the students will get the chance to get themselves admitted within April 29 to April 30, 2015. If you have any query related to Jahangirnagar University 1st Year Waiting List Admission Circular then go ahead to comments section. For further instant information like Our Facebook Fan Page and Follow us in twitter.